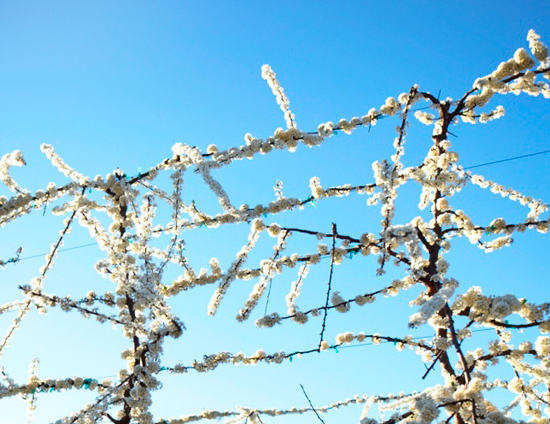 The blossoms at Babylonstoren are starting to show, which means that the transition from winter chills to long-awaited Spring has begun! We’ll be celebrating August as the Month of Blossoms, and which is another reason for you to take advantage of our Winter special (click here for more). 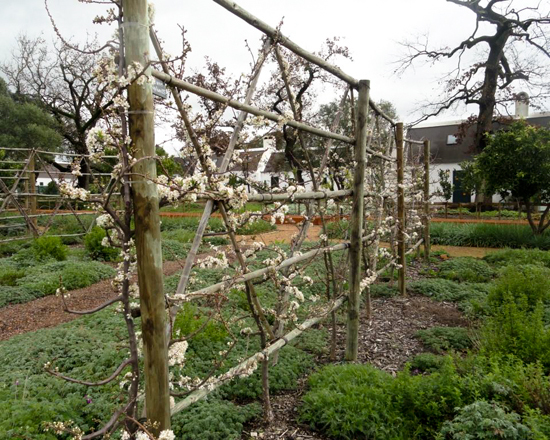 Hotel guests can wander through the blooming orchards all over the farm, on their way to explore interesting natural areas such as Babylonstoren koppie, the vlei, the wild olive forest along the stream and a young indigenous forest at the dam. 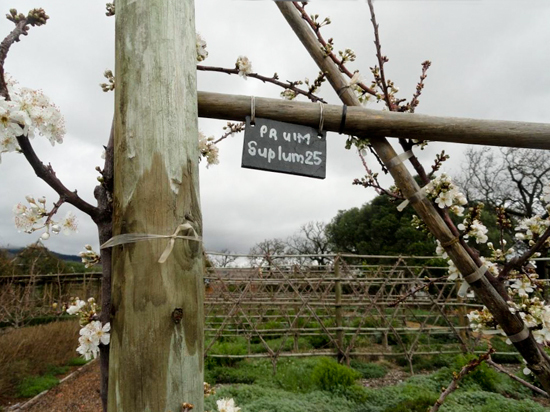 One plum variety Suplum 25 has taken the lead in the show, and will soon be followed by African Rose. In the Historical Garden where we have 28 varieties of plums, the fruit trees are pruned into different shapes that are beautifully visible now that the trees are without leaves. 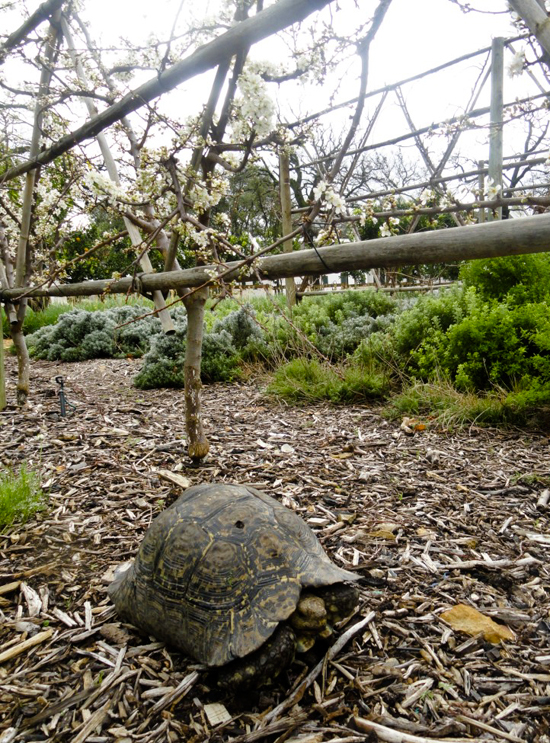 Even our oldest residents, the tortoises, can’t resist coming out to enjoy this joyful sight that whispers of warm days and nights to come.